Have you ever wished for an entire room filled with KITKAT? Well your dreams have been answered. The KITKAT CHOCOLATORY has opened its doors to chocolate lovers at Melbourne Central. 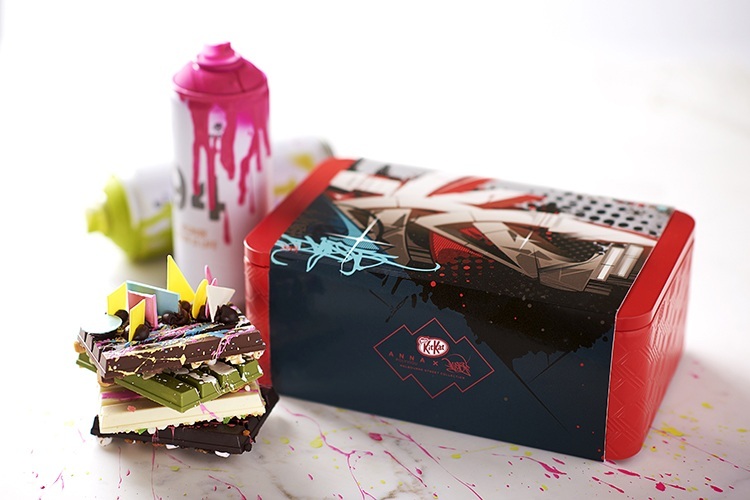 KITKAT has teamed up with renowned Melbourne street artist, Dvate and the Punk Princess of Pastry, Anna Polyviou, to create a special edition collection; a true representation of the street style in Melbourne culture. Dvate and Anna bring their edgy and imaginative flair to the design and creation of the KITKAT Melbourne Street Collection which has been inspired by the city’s distinctive street art and will include unique flavours and quality ingredients including stone ground maccha, almond nougat and toasted coconut housed in a commemorative packaging design. 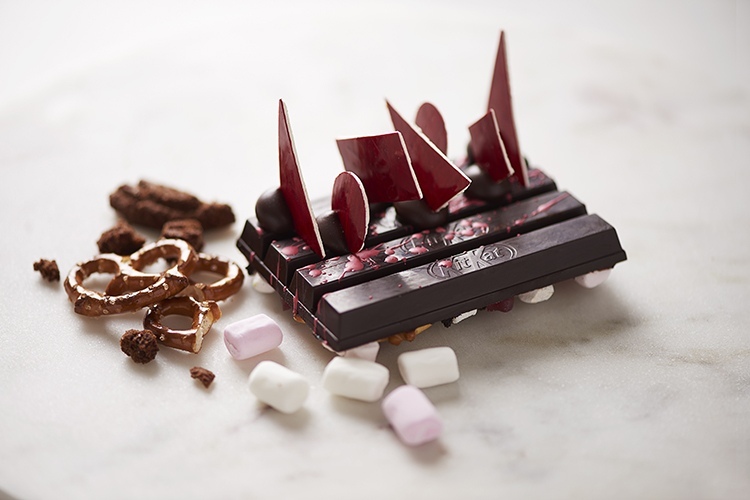 Officially opened on 21 October, the KITKAT CHOCOLATORY offers a premium chocolate experience where chocolate lovers can purchase handcrafted chocolates and exclusive flavour combinations. You can even add a personal stamp on your favourite chocolate to create custom-made KITKAT bars!